Teaching your child bible verses is in effect having them put on God's armor so they can successfully stand up against the strategies and deceits of the enemy. (Ephesians 6:11) Scripture for children not only protects them from danger and a destructive lifestyle, but instructs them how to seek God's heart and promises for a bright and hopeful future. In learning child bible verses there are three steps a child needs to do in order to know the verse. First, they should hear the verse spoken out loud. (Revelations 1:3) Then, if they are able, they can read the verse from the bible. (Obviously this step is not necessary for preschoolers). Third they should work on memorizing the verse(Psalm 119:11-16) Finally, the child should meditate on the verse(Psalm 119:15) This step is really important because it gives a child the opportunity to think about how scripture for children will apply to their life. Hearing child bible verses is very powerful for children because they retain alot from what they've heard. Hearing and speaking the bible outloud promotes memorization of bible verses. The best part about it is kids, and even adults, don't even know they are memorizing the bible verses, so it doesn't feel like work. A great resource for help in memorizing scripture are the resources noted below. Many of these are listed below retail value and are a great investment if you are watching your money- and who isn't? Another recommended resource for memorizing scripture for children and even adults is Memory Cross. This fun system has received rave reviews from pastors,children's ministers as well as adults from every walk of life. This is truly something you can do as a family and the dividends are amazing. Memory Cross Inc. jump starts your prayer life and provides you with built in spiritual warfare. There are many ways Memory Cross can be used. Pastors can use them every week in their children's sermons. If it is used regularly, kids can learn and memorize 52 Bible verses a year. 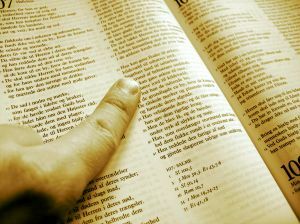 If your church is like most, in six months the kids will know more verses than most of the adults in the congregation. Memory Cross provides a tool that parents can use to teach scripture to their kids at home. Wouldn’t it be awesome if every week parents worked with their kids to learn verses from the Bible that they received during the children's sermon on Sunday morning? Sunday School classes can use Memory Cross™ to teach Bible verses, while also using the blank cards/crosses during craft or art time. The company has created these blank Memory Crosses so they can be colored or painted on. They are a great tool for Vacation Bible School! Christian schools can also use it to make Bible scripture memorization more fun and exciting. I challenge you and your children to try Memory Cross. With the current craze of owning and collecting cards it's kid appealing, thorough and best of all fun! Child bible verses can be quickly picked up and this is an eternal investment for the whole family at a very reasonable price. A homemade idea for learning child bible verses is to take short scriptures from the bible and copy them onto pages of a notebook with a handmade picture. An even better way to involve young children is to incorporate it into alphabet verses. For instance for the first page, find scripture for children that begins with the letter 'A'. Copy the scripture out and draw or paste a picture into the notebook that helps remind the child. You could use "All we like sheep have gone astray". Isaiah 53:6. And make a large letter 'A' at the top of the page with a picture of sheep below. Quiz your children each day with a new verse or stick with one verse for a week until they have it completely memorized. This is a relatively inexpensive and effective way of helping kids learn God's precious word.